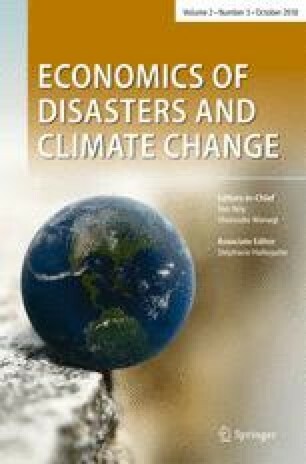 As extreme weather events intensify due to climate change, it becomes ever more critical to understand how vulnerable households are to these events and the mechanisms households can rely on to minimize losses effectively. This paper analyzes the impacts of the floods that occurred during the 2014/15 growing season in Malawi, using a two-period panel data set. The results show that maize yields and value of production per capita were lower for all households, particularly for those located in moderate and severe flood areas. However, drops in food consumption expenditures were less dramatic, and calories per capita were higher. Only the food consumption score, which is a measure of dietary diversity, was significantly lower, particularly for households located in areas of severe flooding. Although access to social safety nets increased food consumption outcomes, particularly for those located in areas of moderate flooding, the proportion of households with access to certain safety net programs was lower in 2015 compared with 2013. The latter finding suggests that linking these programs more closely to disaster relief efforts could substantially improve welfare outcomes during and after a natural disaster. Finally, potential risk-coping strategies, proxied by access to off-farm income sources, having financial accounts, and social networks, were generally ineffective in mitigating the negative impacts of the floods. The online version of this article ( https://doi.org/10.1007/s41885-018-0030-9) contains supplementary material, which is available to authorized users. The authors would like to thank Heather G Moylan for her inputs into the survey design and the field staff training, and (in alphabetical order) Simone Balog, Ruth Hill, two anonymous reviewers, and the participants of the World Bank Global Disaster Reduction and Recovery Facility (GFDRR) seminar (October, 2016 - Washington, DC), and the World Bank LSMS International Conference: The Use of LSMS Data for Research, Policy, and Development (February, 2017 - Dar es Salaam, Tanzania) for their comments on the earlier versions of this paper.